After the breakneck speed of the plot of season seven, followed by a wait as long as Winter, the start of season eight of Game of Thrones is once again fast approaching. As fans await the premier TV event, the theories are coming in thick on the ground. 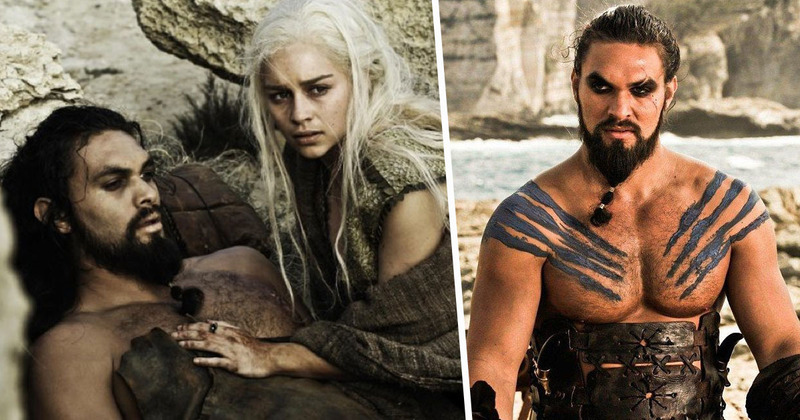 Audiences are mostly concerned with who’s going to die – Valar Morghulis, duh – but there’s a particularly niche theory which suggests we might see one character come back to life. Khal Drogo died in season one after a vengeful witch named Mirri Maz Duur cursed the wound inflicted by one of his own Dothraki men. That we know. He sunk into a catanoic state and was then smothered by Daenerys out of pity, but might be coming back if a curse later placed on the Mother of Dragons by the witch – who she killed for her crimes – is anything to go by. When the sun rises in the west and sets in the east. When the seas go dry and mountains blow in the wind like leaves. When your womb quickens again, and you bear a living child. Then he will return, and not before. Some think the ‘he’ Durr refers to might be Drogo himself. I know what you’re thinking. In death, the flames of his funeral pyre ultimately hatched the dragon eggs which would help The Unburnt in her mission to reclaim the Iron Throne. That’s kind of a big deal, so surely the Lead of the Dothraki has zero unfinished business. Also, the theory is a great example of wishful thinking, as we’ve already seen being burnt is a surefire way to ensure you can’t be resurrected. More likely, is that the prophecy refers to the Night King’s army advancing towards Westeros – from the frozen seas going ‘dry’ and the cataclysmic winter he will bring causing the sun’s movements to completely change. But it’s all to play for in this Game of Thrones, so never say never.